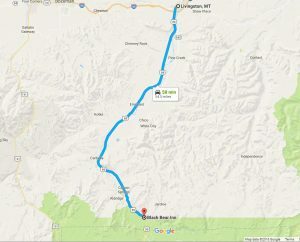 Getting to Gardiner is quite simple, If you are coming from the north you will need to take Highway 89S from Livingston, MT through the aptly named Paradise Valley. Depending on traffic and road conditions this is about a one hour drive. 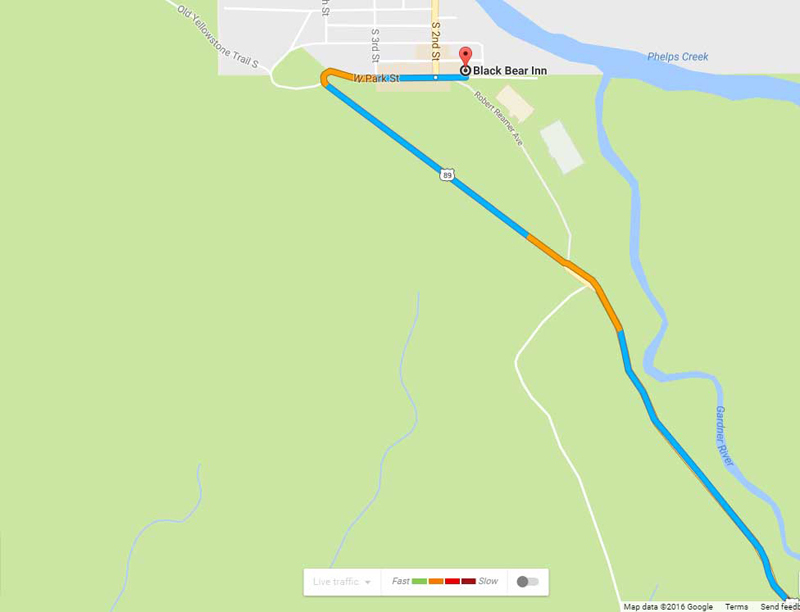 Once you’ve arrived in Gardiner, it continues to be quite easy to locate the Black Bear Inn. After entering Gardiner, continue to follow Highway 89S (also labeled as Scott St.) across the bridge over the Yellowstone River. After crossing the bridge you will continue straight until you arrive at Park Street (a Sinclair Gas Station will be on your left). Turn Left onto East Park Street. 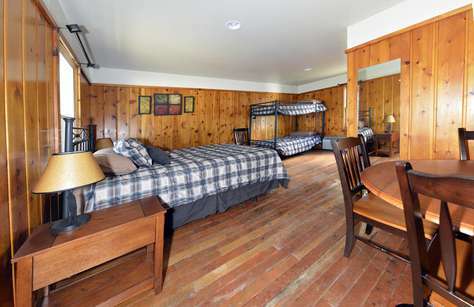 The Black Bear Inn is located roughly 250 feet from the intersection (just after the Raven Bar & Grill) on the Left. 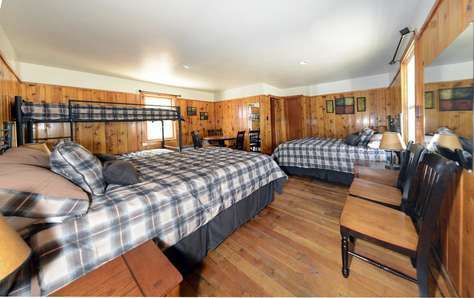 If you are coming to Gardiner, MT through Yellowstone National Park you simply exit the park through Mammoth Hot Springs and the North Entrance and follow Highway 89S leaving the park. Once you have passed the Gatehouse at the official entrance to the park, continue to follow the road as it guides you through the Roosevelt Arch and curves right. 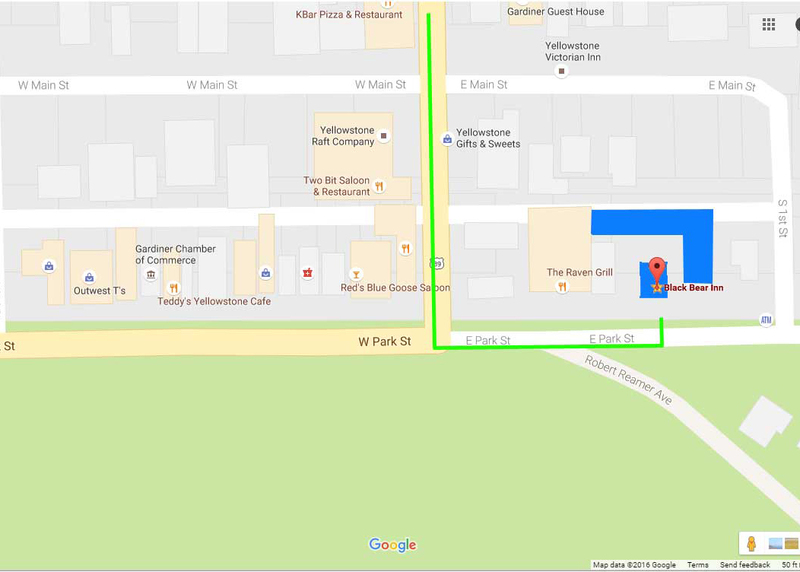 You are now on West Park Street, continue straight and the Black Bear Inn will be on your left after you pass a Sinclair Gas Station and The Raven Bar & Grill. When you have arrived at the property please park as neatly as possible in front of the door to your room. If you are in a large vehicle or if you are towing a trailer please park in the public parking areas on Park street so as to make navigating our small parking lot easy for all guests. It is a good idea to print out directions to Gardiner as it is possible to lose cellular signal in the area very easily.